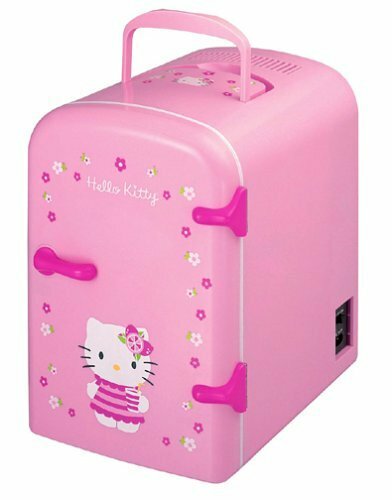 a Hello Kitty mini-fridge when you hate your new cube and are feelin’ blue. I’m so serious. Cutest ever. I’ve wanted a stoopid mini-fridge forever for my cottage cheese snacks. Mr. Kallisti is full of surprises! I have a mini-fridge like that one, except it’s a Sunbeam-brand one. I keep it next to my bed. Previous Previous post: *squidgy face* Anais! Next Next post: Um, wow.